Okay I really need to get some sleep, it’s a quarter past 4 in the morning! But look! I’m really happy with progress on the game. You are a lone marine trapped inside the LV426 Colony, your squad mates are presumed dead. You are armed with an M41A Pulse Rifle but you have no bullets left! There is also a Motion Tracker at the location of the Pacman Cherry. 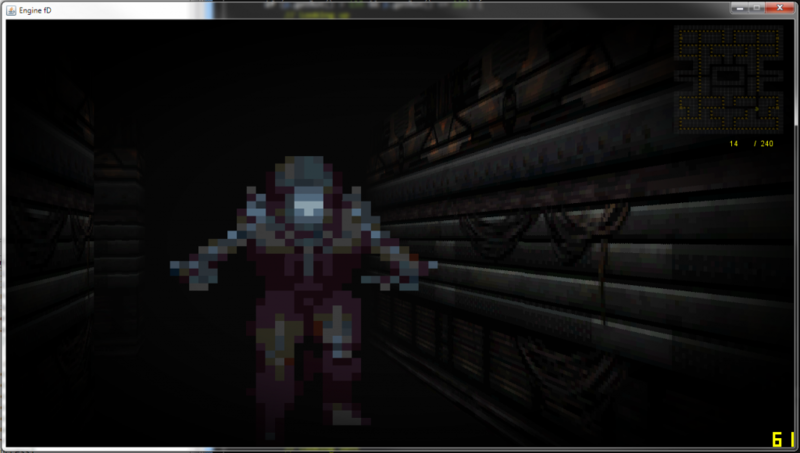 The motion tracker will show the player the location and range of any Xenomorphs in the direction it is looking. I’ve re-written the way the map is stored in the game allowing for a different texture on each face of a block. This allows for a much more textured environment as we can now have a random variation of a texture of each face. Yes that’s right! 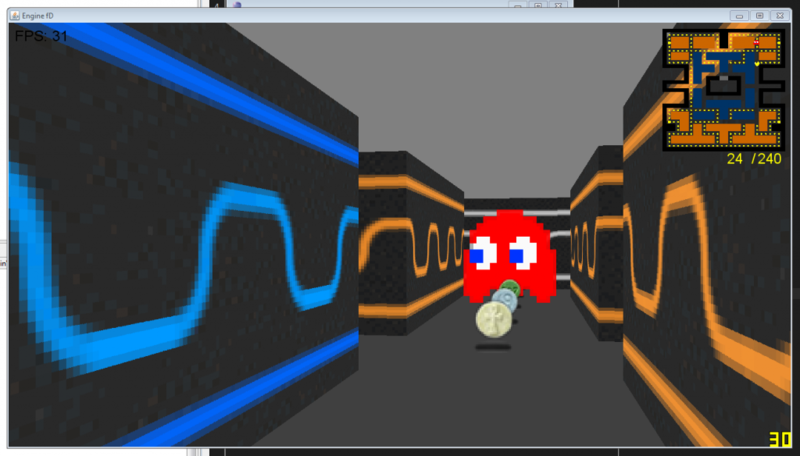 I’m working on First Person Pacman again! And better yet, you can be too (if you are so inclined to) because the whole project is now available on Github! I’ve decided that while the game is fun in it’s current state it is not scary enough. Don’t get me wrong, walking around a blind corner only to see a Ghost fly out and make a bee-Line straight for is pretty damn heart pumping but I feel like it can still be improved upon. Thus I propose we drop the lights, up the rust, and drop our little yellow hero into the hellish world that is LV426! I found some good ‘Aliens’ style wall textures just by googling them, I would credit the sources but it was obvious to me that the sites Google linked to were not the original sources, nor did they credit the artists. If anyone knows who they were then please email me. I took the textures and duplicated them 4 times altering each one to make it subtly different. 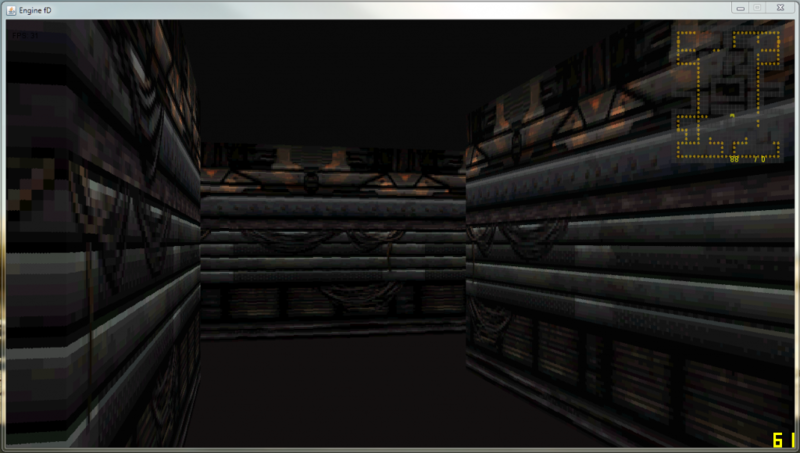 Additionally with this set of walls I added a rust overlay to make it look more dilapidated. LV426 is not exactly a clean place to live. Thought I’d move some posts over from the L2Program Blog. This was my first major project of this summer, the second being this site. The idea was to create a Pseudo-3D rendered game like the classic Wolfenstein3D. This style of rendering takes a 2D world and “fakes” 3D by making things further away from the camera shorter in the middle of the screen.